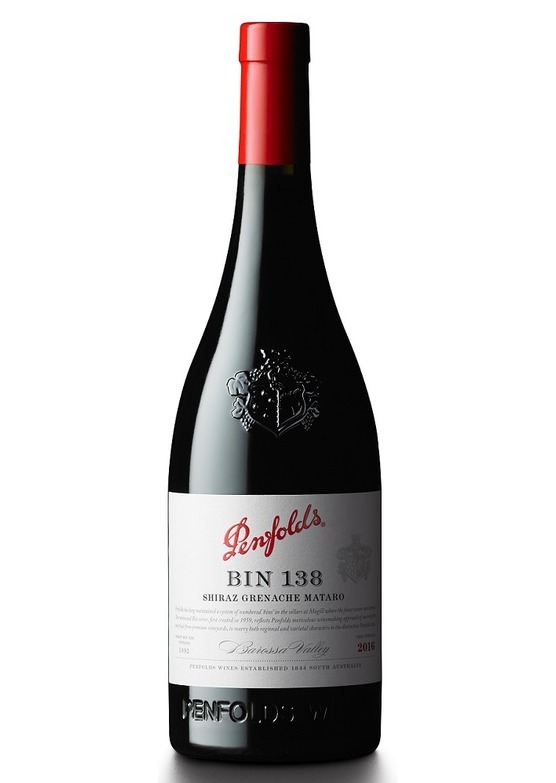 Bin 138 draws its inspiration from wines of Southern Rhône, where shiraz, grenache and mataro (mourvèdre) are blended in varying proportions to create full-bodied wines possessing rich and heady perfume. Each year fruit for Bin 138 is sourced from Barossa Valley vines (some more than 100 years old) and then matured in seasoned oak hogsheads to allow the different varietals to shine through. The first vintage release of this varietal blend was the 1992, labelled 'Old Vine Barossa Valley' - it was elevated to Bin status with the 1998 vintage. Wading into the savoury spectrum, albeit 'spliced with spice' - cinnamon, ginger and boiled-fruitcake ‘all-spice’.